Hey there! 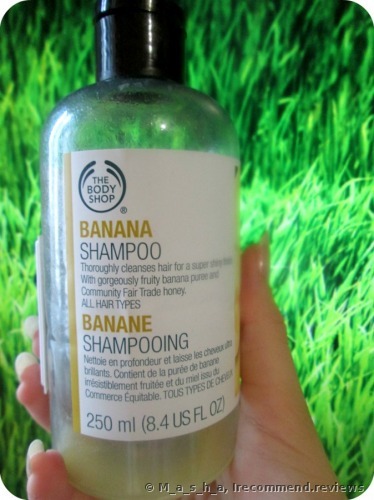 Today I’m reviewing The Body Shop Banana Shampoo. I was attracted to this product because of its wonderful smell, not sounding promises as many other people. I also picked up a conditioner to team with the shampoo, but I’ll make a review of it a little bit later. Time of use: I’ve already bought the second pair of shampoo and conditioner. And I’ve been using them for 2 months already. Of course I do sometimes use some different shampoos for a change. 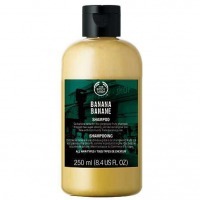 Enriched with deliciously ripe Community Trade Organic Banana Puree from Ecuador, this truly nourishing shampoo gently cleanses your hair and drenches it in an uplifting, tropical scent. Gently cleansing your hair, it contains Community Trade Honey, leaving hair soft, shiny and completely hydrated. Coming in a bottle made from 100% recycled plastic, this treat is both environmentally friendly and fruity fabulous! The shampoo is formulated with a banana puree. The formula is also enriched with a Community Trade honey from Ethiopia which gives shine to the hair. But, alas there are some harmful ingredients. The design is minimalistic with nothing much to it. On the bottle there’s all the necessary information given. Texture-wise the shampoo is runny and watery. It’s easy to get out of the bottle, but the same can't be said for the conditioner. The color resembles a banana puree. The scent is very pleasant. It smells like a real banana puree. It’s long, undyed and needs moisture, especially the tips. I also try to eliminate the use of a blow dryer. * I apply a small amount of the shampoo onto my hair and then gently massage it in. 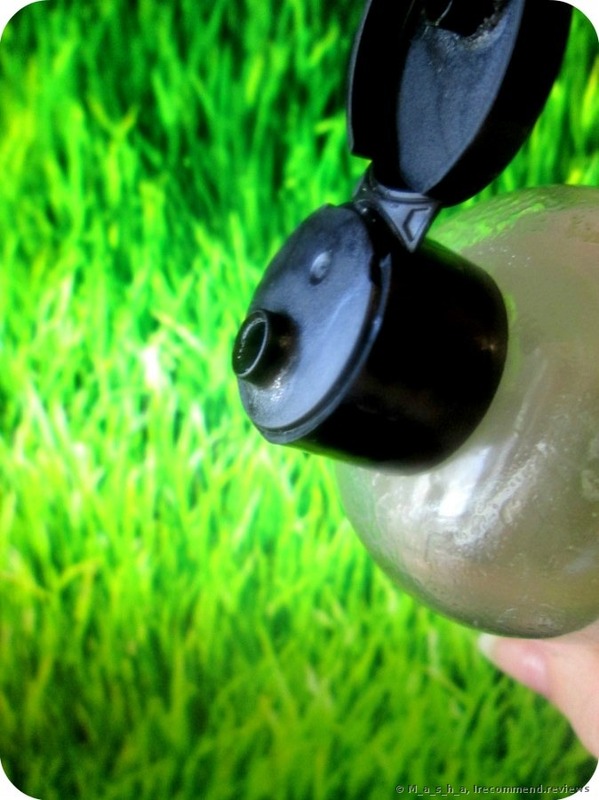 The shampoo lathers well, giving a bubbling foam with a delicious smell. * The product is easy to rinse off. 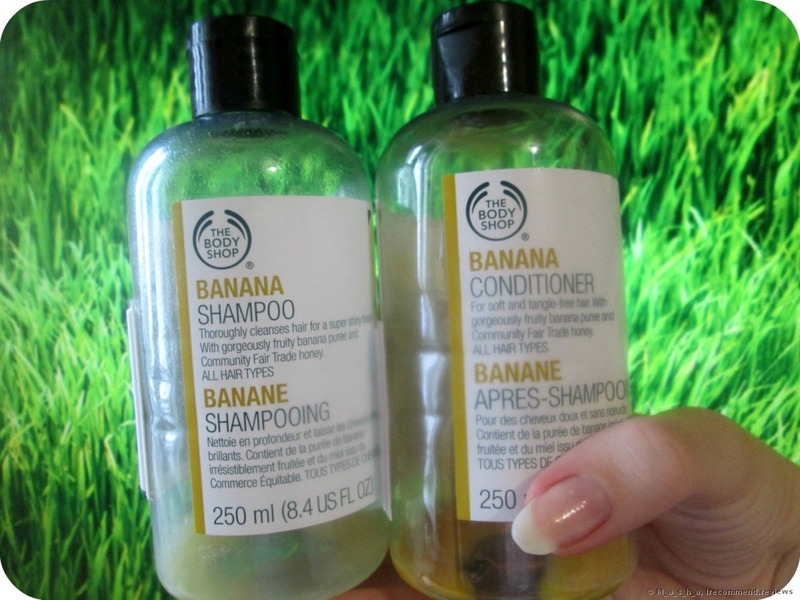 It leaves a sillage of banana puree aroma on my hair. * I noticed that one time wash isn’t enough for me. So I did two rounds. 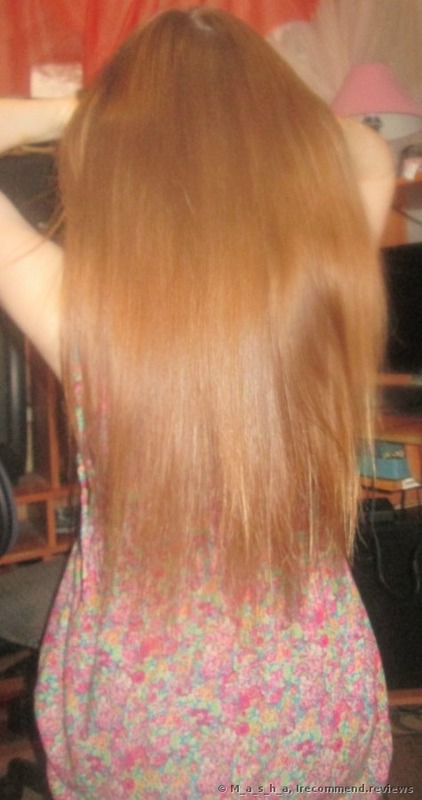 After the second round I feel that my hair is squeaky clean yet silky and pleasant to the touch. * My hair doesn’t go frizzy after washing. On the contrary, it’s soft, shiny and bouncy. * I have a sensitive scalp so a lot of shampoos can provoke dandruff. But this shampoo never does so, even though it’s the second bottle that I've used. * The banana smell stays on my hair for quite a while. * Since I take two rounds to wash my hair with this shampoo, it automatically makes it uneconomical. A bottle will last you no longer than a month if you use it daily and you have long hair. But I managed to use it for two months, since I alternated it with some other shampoos. * Shampoo works well only if it’s teamed with the conditioner. The shampoo used solo doesn’t give the desired moisture to my hair. Overall, this shampoo will flatter any hair type. It’s a good product with a pleasant banana aroma. I freakin love it! 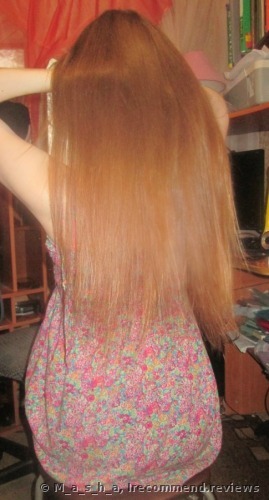 The most important thing is that after using this shampoo, my hair looks healthy, shiny and elastic. And I’ve never had dandruff or irritation with it. So, I recommend this product not only to those who are into delicious shampoo smells, but also to those who are on a lookout for moisture and care! It’ll be better to use the shampoo along with the conditioner and you’ll fall in love with the result. I’ve read a lot of positives reviews of The Body Shop Banana Shampoo and of course I couldn't wait to try it out too. The first thing I want to stop your attention at is the smell . It smells like a sweet banana, it isn’t a straight-in-your-nose smell, no. It’ll repair even the driest skin very quickly! Perfect in fight against the winter dryness. My mango disappointment. The worst body scrub I ever had. Mango Exfoliating Sugar Body Scrub. That’s a real flayer! It shaves off both cellulite and skin. Painful. Quick results guaranteed. Peculiarities and dangers of dry brushing.